The bull market that began over nine years ago marches on yawning in the face of increased risks to the global economy. 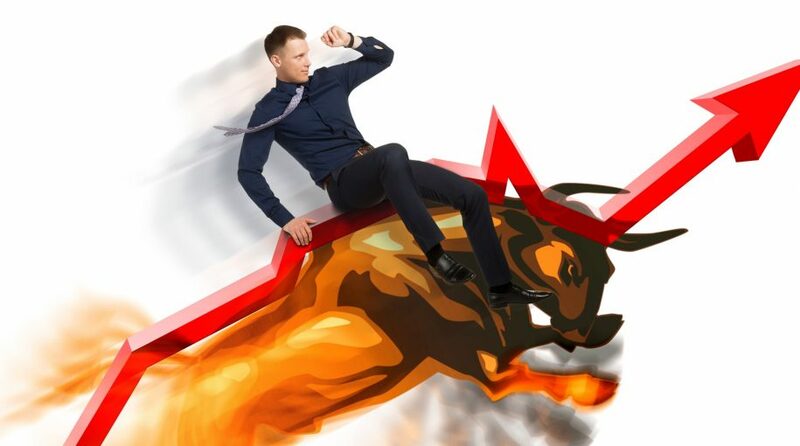 The volatility spike experienced in the first quarter recycled the now Groundhog Day like cycle of markets climbing “the wall of worry” in the ever-repeatable fluctuations of investor fear and almost euphoria. All in all, not much has changed. If anything, the short-term outcome of global markets is that much more difficult to decipher as presidential tweets and growing feuds by way of trade tariffs can shift markets instantaneously. In past commentaries we have reviewed that both quantitative easing and overall increased global debt have fueled much of this market rally. 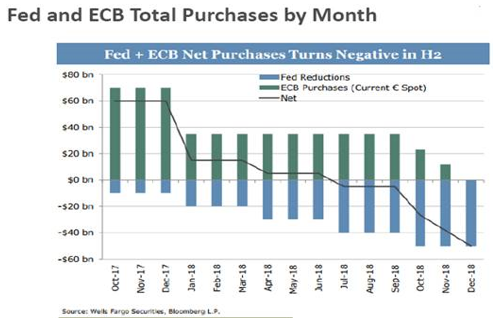 As we enter into the second half of the year, net purchases by the Federal Reserve and ECB are now slightly negative. Currently the net amount coming off the books each month is relatively small, a few billion dollars a month, but that will increase each month in the fourth quarter to as large as potentially -$50 billion per month. In January we surpassed our March 2000 high of 2.35, and the number has come back a bit due to strong overall revenue growth. It’s also interesting to note that the economic growth experienced in the early 2000s did not coincide with massive multiple expansion, and further connects the current rally with the dot com boom.